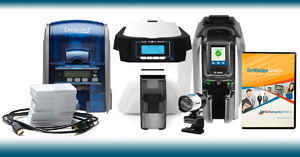 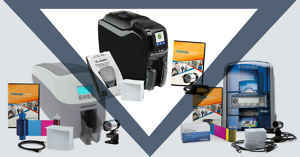 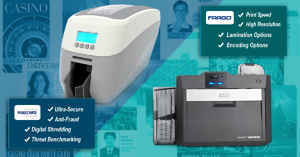 Laminating card printers are a variety of printer capable of producing images and laminating the final product in one unified process, avoiding the need to utilize (or purchase) both a traditional printer and a laminating device or machine. 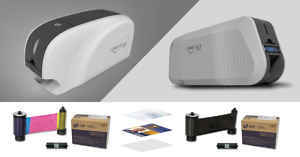 The plastic-based material used in the lamination process is called an overlaminate, which help protect against damage, remain flat and reduce the possibility of glares. 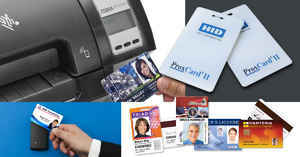 Two types of overlaminates are typically used in conjunction with laminating card printers: standard overlaminates included in printer model packages, or customized films fitted with a company logo.